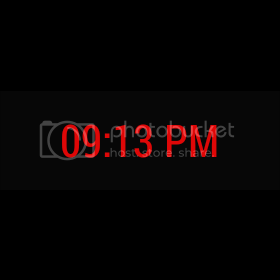 There’s no official Android Wear watch face API yet, but that doesn’t mean we can’t make our own solution. There are plenty of watch faces already out there, and they are very simple to make. 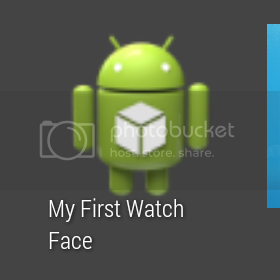 If you know how to make an Android application for a phone or tablet, you already know how to make a watch face. 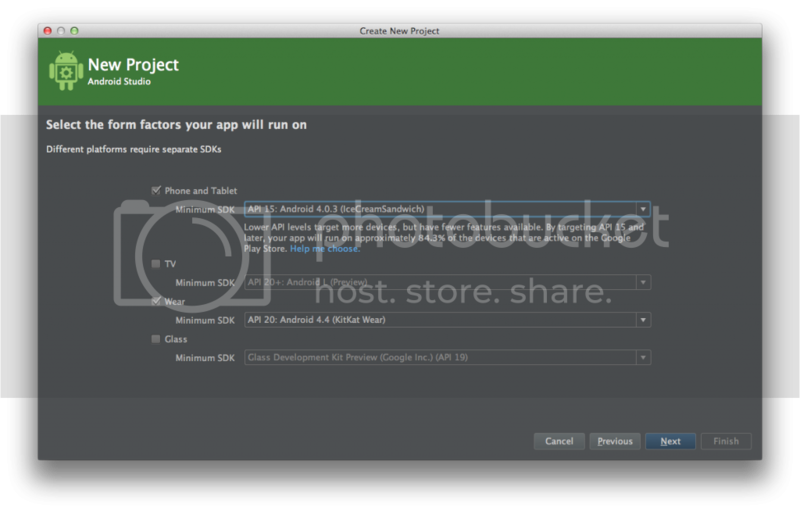 This tutorial assumes you’ll be using the beta version of Android Studio. The first thing you’ll want to do is create a new project. 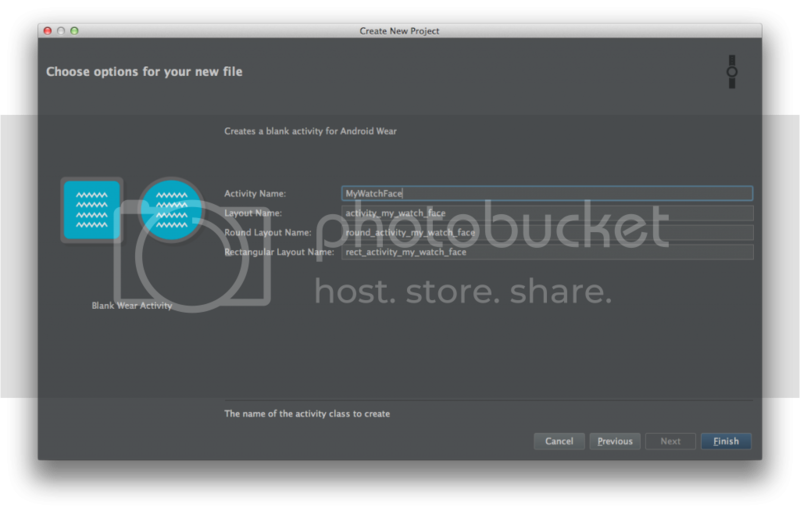 Android Studio prepares a lot of things for you. After going through these first few steps, you’ll be almost done (no, seriously!). 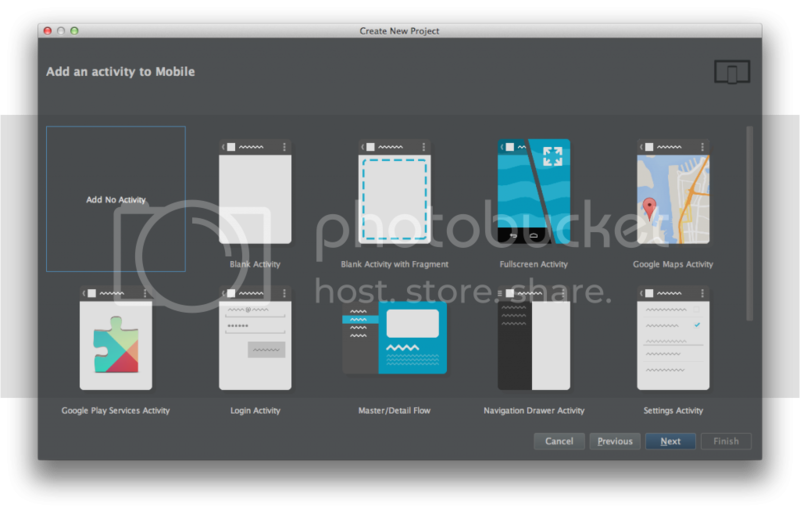 From here, you should have a mobile and a wear module in your project. For this tutorial, we won’t be showing mobile much attention, but it’s needed in order to sync the watch face to a wearable. 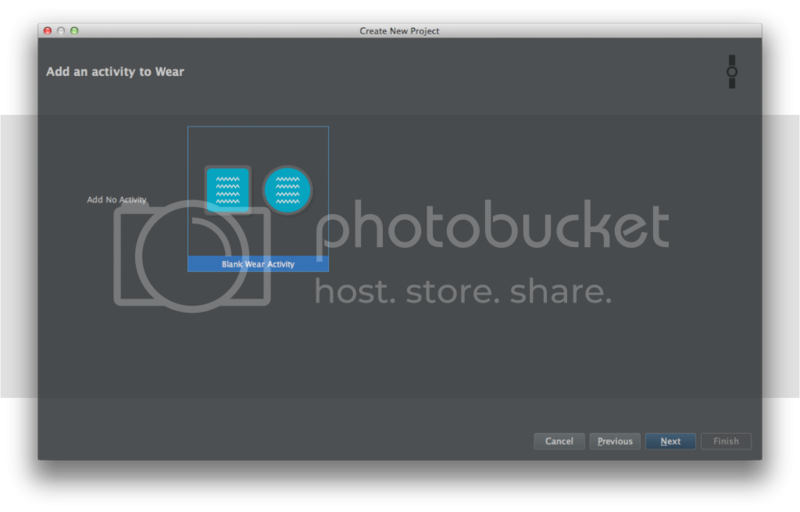 By default, our wear module is set up to be an application, launched by saying the app name or opening search on the application and scrolling down to “Start…”, then selecting our app. We don’t want this though; we want a watch face! Let’s change a few things. We didn’t change much. First, we added android:allowEmbedded="true" to the activity, and added <meta-data android:name="com.google.android.clockwork.home.preview" android:resource="@drawable/ic_launcher" /> before we added the intent-filter. 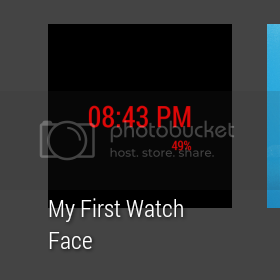 This is where we set the watch face’s preview when a user is selecting a watch face. We don’t have much for that at the moment, so we can just set it as our launcher icon, which I use often when I need a placeholder image. We also changed the intent-filter, switching our category from android.intent.category.LAUNCHER to com.google.android.clockwork.home.category.HOME_BACKGROUND. Nothing too fancy, as this tutorial is just showing you the ropes. We’re going to show the time (obviously) and display the wearable’s battery percentage, as well as handle the wearable’s ambient mode. 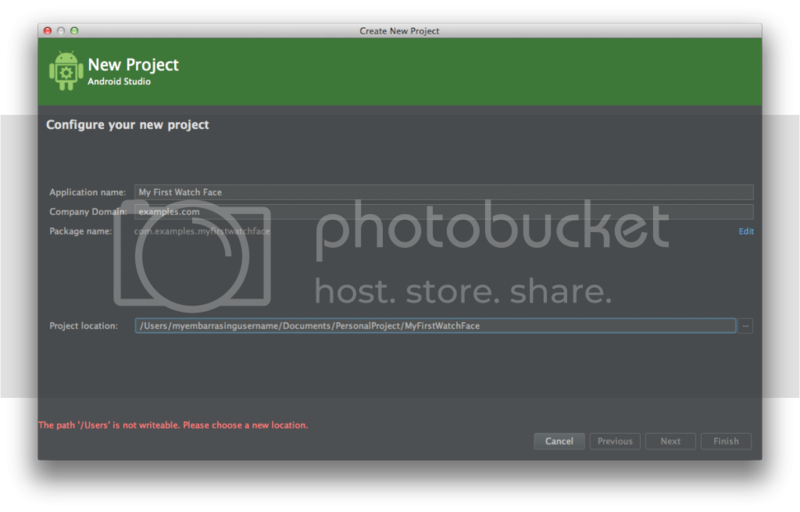 You shouldn’t have to worry about this right now though; Android Studio has already done most of our work for us. Both your round and square layouts should look pretty similar: a ViewGroup(LinearLayout for square, Relativelayout for round) with a single TextView. To get started, we’re going to make these look a little more similar. Our tutorial is going for a very consistent look on both of these screen types. Future watch faces will probably want a more customized look for each of these screen types. Those two text views are going to hold our time and battery percentage. To get a feel for what this will look like in the end, go ahead and add the following two values and look at the Preview mode available. That’s pretty much all the XML we need. That specific BroadCastReceiver is going to be used whenever an Intent that matches one in our IntentFilter gets broadcasted. When onReceive() gets called, we get an instance of the current time, format it to the time we want using a SimpleDateFormat, then display that time in our TextView. mTimeInfoReceiver.onReceive(MyWatchFace.this, registerReceiver(null, INTENT_FILTER)); // Here, we're just calling our onReceive() so it can set the current time. If all we wanted to show was time, we’d be done. Seriously, that’s all. It’s that easy to show the time. Red is a great color and all, but we don’t want super bright, colorful screens draining battery. You’ll notice that when your watch dims, the bright red stays. We want to change that, so let’s talk about Ambient Mode. As you’ve noticed, after a few seconds of inactivity, your watch dims. The default watch faces handle this case and turn from colorful and eye-popping to very simple gray-scale versions of themselves. This is the recommended behavior, and we should try to accomplish this in our own watch face. As the watch face API is not released yet, the community has a couple of workarounds to handle these state changes. Pros: Simple, nothing else needs to be added. Cons: In certain cases, onPause can get called at seemingly-random times. Remember, our watch face is simply an Activity, so anything that would call onPause on an Activity on a larger device would call onPause here. For instance, if you happen to use the wearable launcher, the seconds between selecting an app and the app starting calls onPause for the watch face. Users might not understand why the watch face is dimming at this point. Pros: Handles switching to and from ambient mode more gracefully, and at less sporadic times. Cons: Takes a bit more code to actually implement. Our example is going to use the latter approach, in one of three currently available ways. Use WatchFaceActivity, a base class I made based on Pomepuy’s gist that does all of this behind the scenes, with methods you can implement for callbacks. Use a registrable class made by Paul Blundell, based on WatchFaceActivity. While this tutorial will use the WatchFaceActivity (out of bias, ssshhh), the last two implement the callbacks the exact same way, so use whichever you feel most comfortable with. If you’re using Pomepuy’s gist, your callbacks are handled in onDisplayChanged(). Run it! Let it dim, or force it to do so. 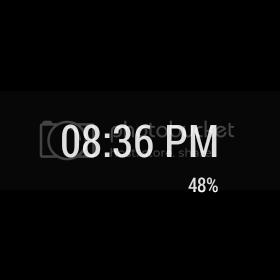 Currently, this is all it takes to make a watch face. As I stated before, the public API for watch faces hasn’t been released yet, so things are bound to change. But for now, enjoy being able to customize Android Wear a bit further. For the full source code, please visit this GitHub repo.